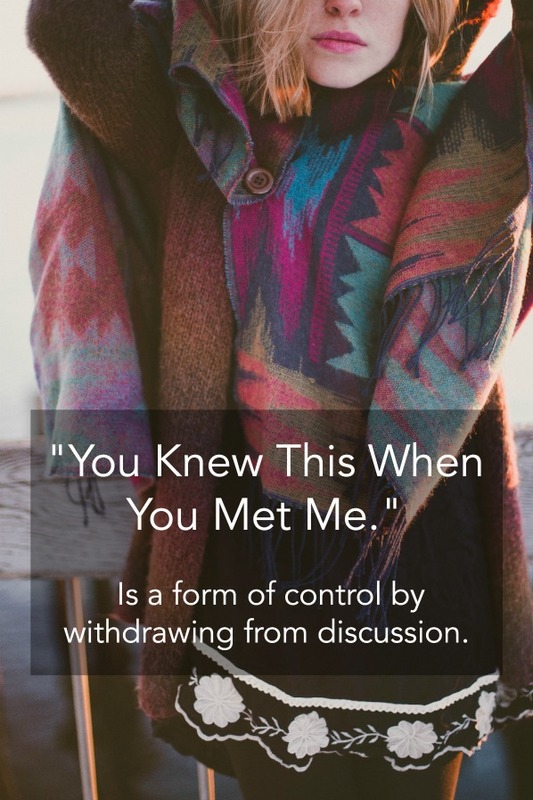 “You Knew This When You Met Me”: Do You Say It Or Do You Hear It? Now your partner is off to call Mom for the third time today. Or out the door to play 36 holes no discussion. Checking the ovulation kit when your other four children are in the den fighting. Voluntarily heading to work every weekend. Insisting that everyone leave their shoes at the door and only wear socks in the house. My examples may seem extreme. I have heard them all in my office. So what’s going on? And what can you do about it? We all discover disappointments in each other along the way. I know the things about myself that frustrate my partner. He pretty well knows the same things about him that I grit my teeth and bear. That’s part of a long-term commitment. You generally tolerate small disappointments. When you run into them, you breathe. You try not to focus on it. You let it go. You don’t make it about you. And you go on. 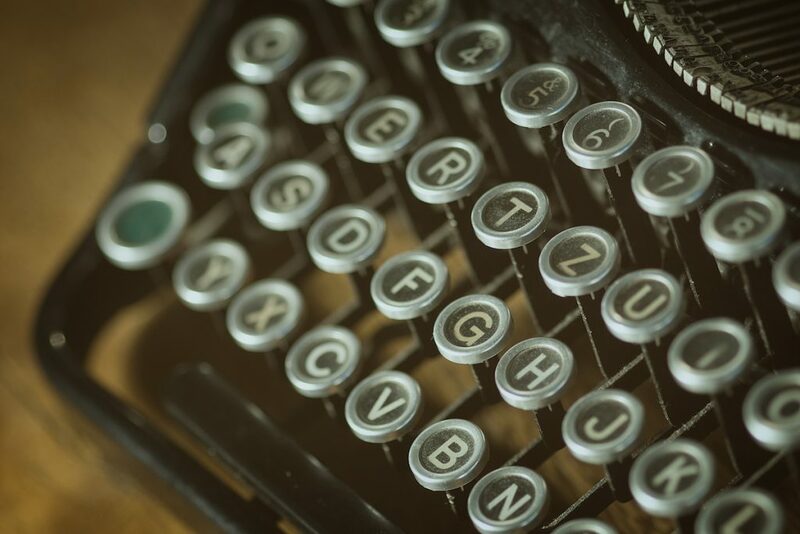 In a post that went wildly viral, I wrote the good things way over-balance those things. That’s why you stay. However, when your partner pulls the, “You knew this when you committed to me,” line, they are disrespecting that toleration. It’s not that their behavior exists. Maybe you did know that. It’s how much that behavior is now affecting the relationship. I will pick a specific example. Say your partner is a golfer. Loves the game. You know they are going to head out the door on pretty weekends. Be gone for hours. There is usually some discussion. Cooperation is required, needed if children are involved. Doesn’t want any contact, except in a dire emergency. He (or she) will reek with golf sweat when they come home. A particular kind of sweat that has clung and dried. Clung and dried. If he didn’t play well, he will likely be in a horrible mood, which will take a while to dissipate. If he played well, you would think he was Tiger Woods. You pray for little white balls to make little clunky sounds into little dark holes. My father, brothers, husband and son play golf. I have prayed a lot. The discussion out on the course. “Hey, let’s play another 9.” It is then that the golfer could remember their partner’s tolerance. Let’s take the example of a close relationship. Obviously there is a problem. How the privacy boundary between a husband and wife is negotiated – learning that conflict resolution actually builds intimacy but also respecting that she is close to and needs her sister? You can see that these can be very tricky. It can easily feel as if your partner is demanding that you change things in yourself that are major parts of your character. Principle things that make you who you are. Your commitment to your job. Your relationships with others. The way you relax. What you feel committed to. The way you have always spent your time. Your habitual way of doing things. Your independence. Your privacy. Your partner isn’t demanding anything. You are choosing to be partnered. Which means there may be some changes that you will choose to make for the well-being of that partnership. Healthy couples have open, hard discussions. 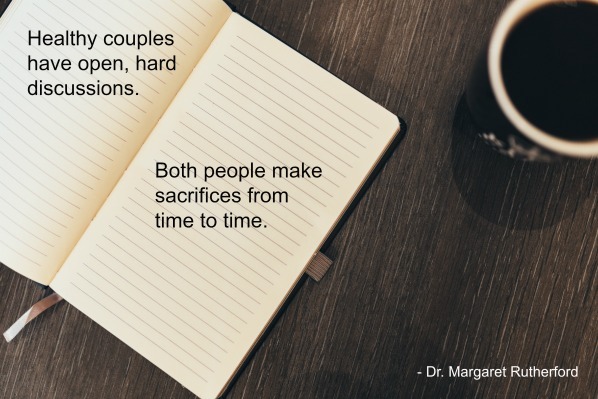 Both people make sacrifices from time to time. The discussion is over. Done. No more talking. She or he wants their way. They are withdrawing from the conversation. And actually, withdrawal can be a much more potent form of control than aggression in a relationship. It leaves the other person not quite knowing what to do. Like a little puppy, scratching at the other side of a closed door. They feel demeaned. Rejected. Your partner is just that. Your partner. He or she should be there to cooperate with you. To help you. And vice versa. Not to give you permission. To control you. To tell you what you can or can’t do. At least not in healthy relationships. You will have your differences. You can respect those differences. And have empathy for the perspective of the other. Please share! 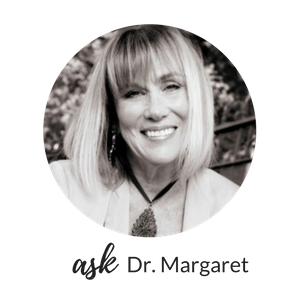 SUBSCRIBE to Dr. Margaret’s website and receive her free eBook, “Seven Commandments Of Good Therapy“, a guide on how to evaluate a potential new therapist or the therapy you are receiving currently. As always, you can send questions or comments! Just askdrmargaret@146.66.99.73!